The album was recorded in Los Angeles and Wales. Producer again was Cameron Webb. During the recording Phils father died and therefore Phil recorded some of the parts in Wales. It was first said to be released already by the beginning of 2010 but then it was postponed to December 2010. 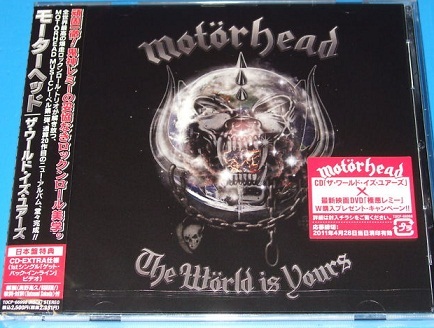 Since SPV was bankrupt Motorhead also changed label. It was also the old deal with SPV that caused the delay. 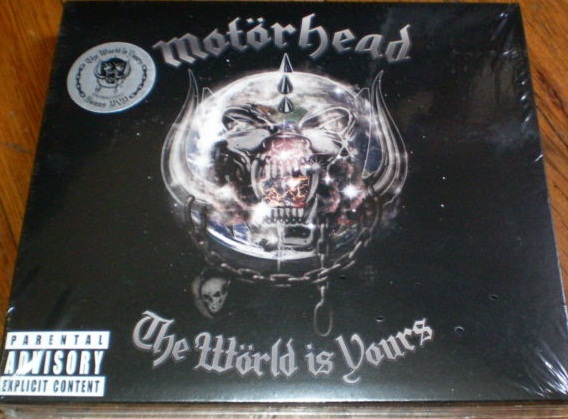 This time the band choose to release the album by themselves and started therefore Motorhead Music. 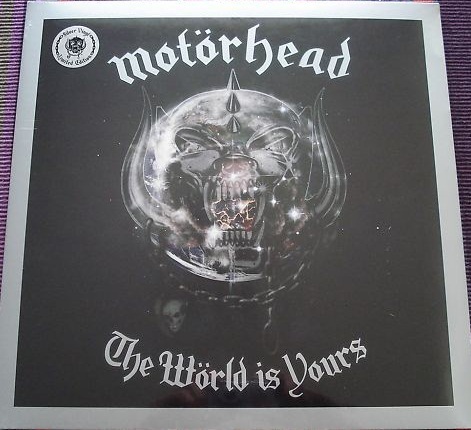 In a collaboration with the German company UDR and with a distribution deal with EMI they released The World Is Yours as the first release of UDR with cat no 0001 (CD) and 0003 (LP). A jewel case version (0002) was also released in Europe as well as a silver vinyl (0005) version. A special Classic Rock package issue including the whole album was released in December in Europe as well. In January a version with an extra DVD was released in Europe (0008) and in February it was released in the USA (0010), a version including a different DVD. The people working with the new label were the same people that previously had worked with the band at SPV. This is what EMI wrote on their webpage in October 2010: "We’re very pleased to welcome legendary rockers Motörhead to EMI. 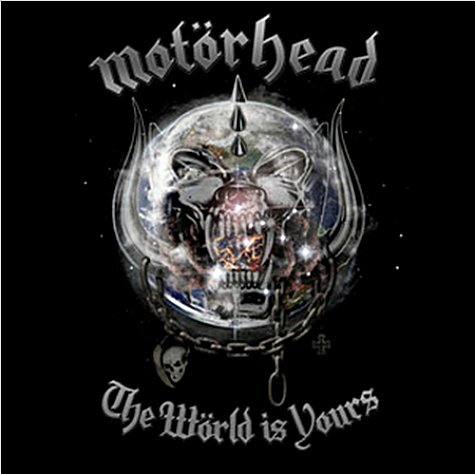 The band have formed ‘Motörhead Music’ and teamed up with EMI Label Services for the release of their brand new studio album, ‘The Wörld is Yours’ on December 13. 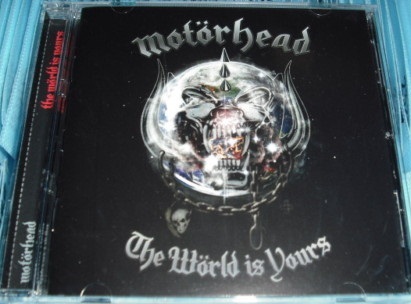 Written and recorded by Lemmy Kilmister, Philip Campbell and Mikkey Dee in both the US and the UK". 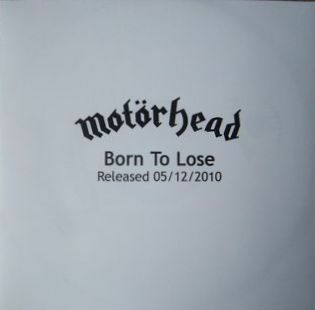 In October 2010 UDR launched a website, www.motorhead.udr-music.com. On this site there was information about the band, the album, tour dates etc. Here it was also announced that the album would be released 10 December in Germany, 13 December in the UK, 14 December in Europe, followed by releases in North America, Australia and Japan in January. It also said: "Welcome to UDR - The Home Of Legends online. 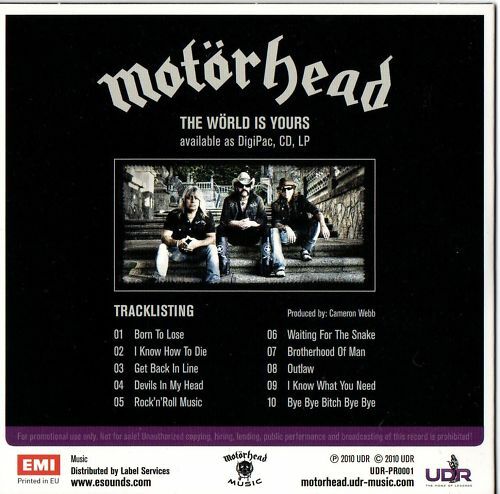 With "The Wörld Is Yours", the new album by the Worlds greatest rock 'n' roll band Motörhead, UDR is looking forward to meeting everybody that loves Motörhead Music as much as we do". 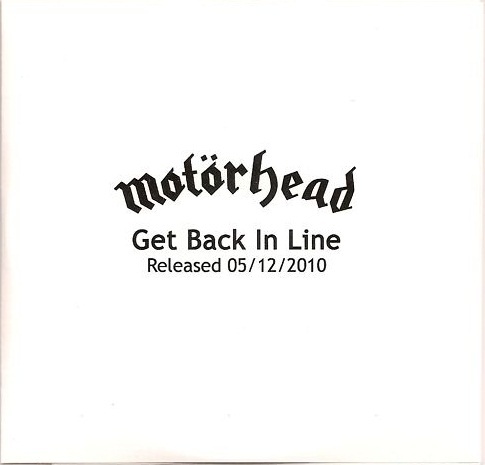 A promo video for Get Back in Line was recorded in November.